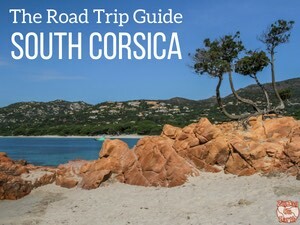 Discover (with photos) all the amazing things to do in South Corsica - Guide about the region of Porto-Vecchio Corsica: best beaches, mountain views, canyons, fascinating towns... Inspiration to plan your trip is on of the most beautiful French regions! 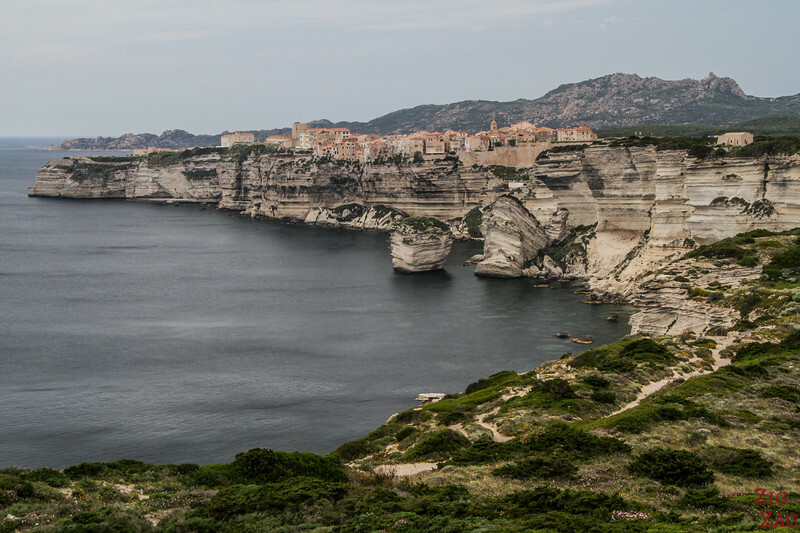 Explore the unique site of Bonifacio - definitively one of the best places in Corsica! Note: this article is really about the South of Corsica, not the "South-Corsica region" that goes quite North. I am showing locations reachable in less than 2h drive from Porto-Vecchio Corsica. The map above gives you a snapshot of the layout of the region with some of the most famous places to visit - detailed planning-oriented maps are available in the eBooks. Porto-Vecchio Corsica is one of the largest cities on the island and a medium-sized port on the East coast. 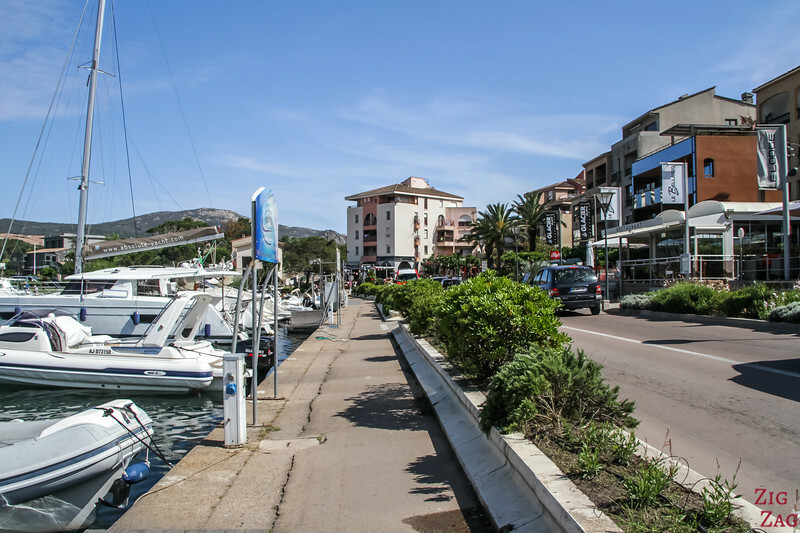 Personally I think the region is magnificent but the town of Porto-Vecchio itself is not fascinating. Although I love seeing it from the distance with the mountains in the background. Getting up on the hill, walking past the Genoese door and exploring the narrow streets of the Citadel with its unique shops and the charming Saint-Jean-Baptiste church. You can visit the Bastion and from there get great views of the gulf. The best part is actually exploring the region - under 2 hours from Porto Vecchio. 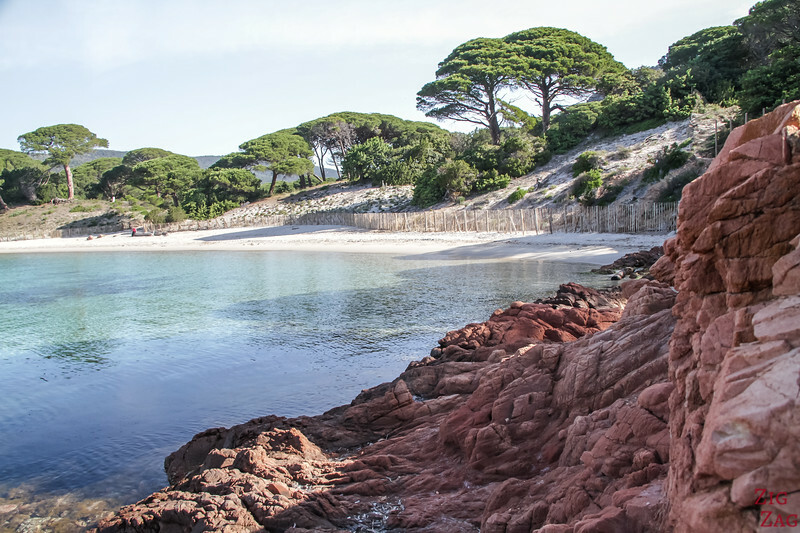 Let me show you in pictures some of the best places in South Corsica. 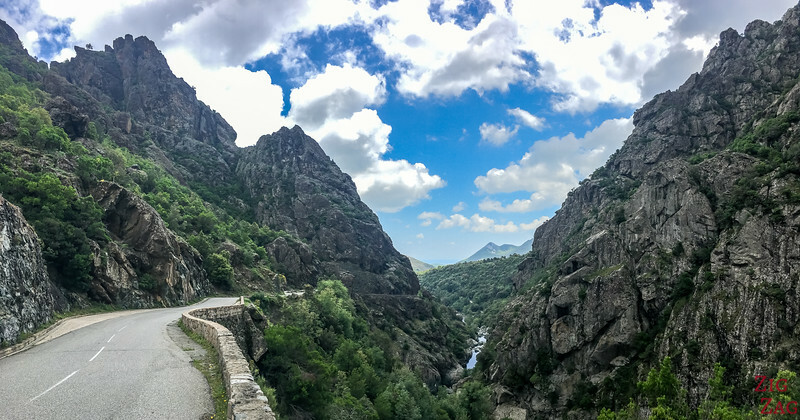 South Corsica has it all: beaches, mountains, gorges, cliffs, islands... Everywhere you drive the views are fantastics. 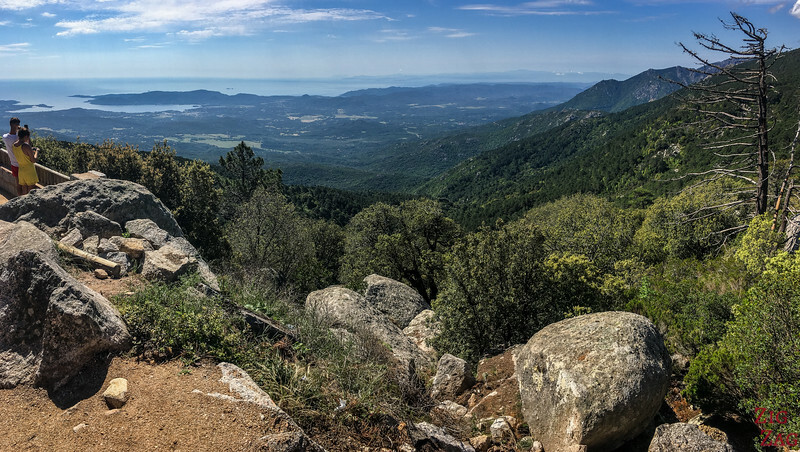 For example, you can stop at the Ospedale viewpoint to see all the South coast of Corsica with the gulf of Porto-Vecchio. This is one of the most famous viewpoint in the region. It is not my favorite but since it is on the road to many attractions, it is easy to stop. 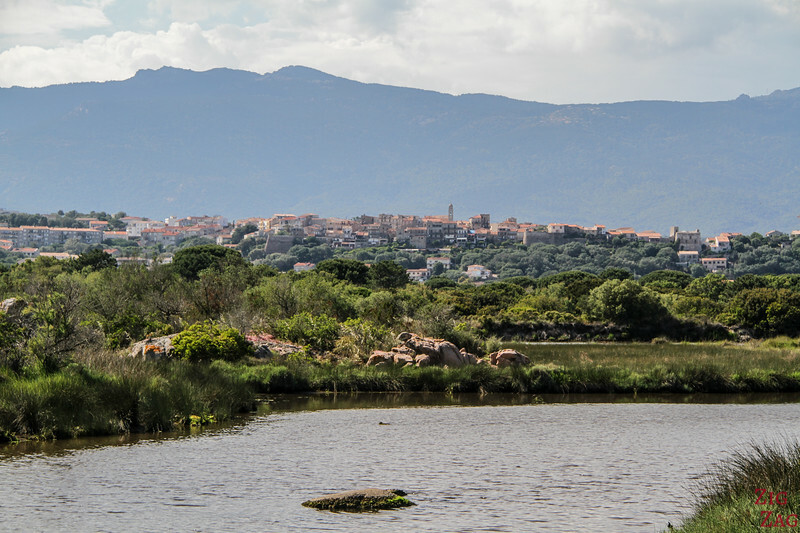 Look better at the picture below and you will see the mountains of Sardinia in the distance. We are very close! The region has many fascinating beaches and rock formations as you will see further in the article. 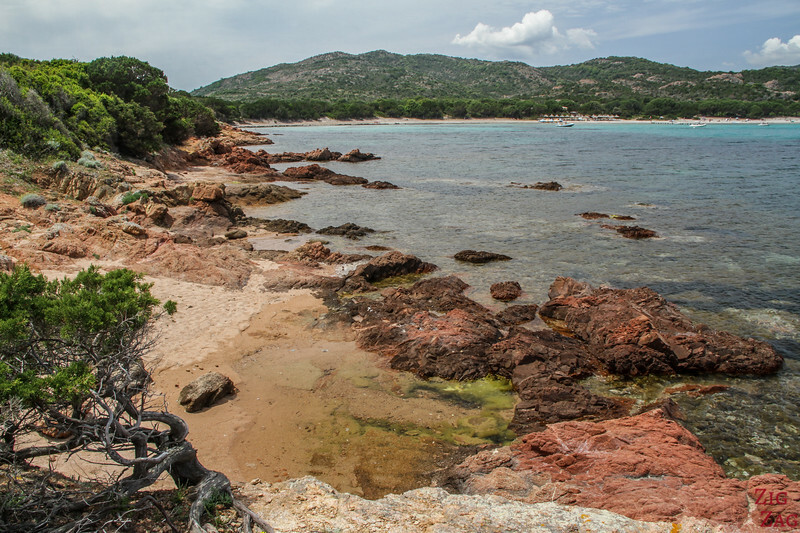 However for some reason, one of the most photographed places in South Corsica is the little cove between Tamaricciu beach and Palombaggia beach. 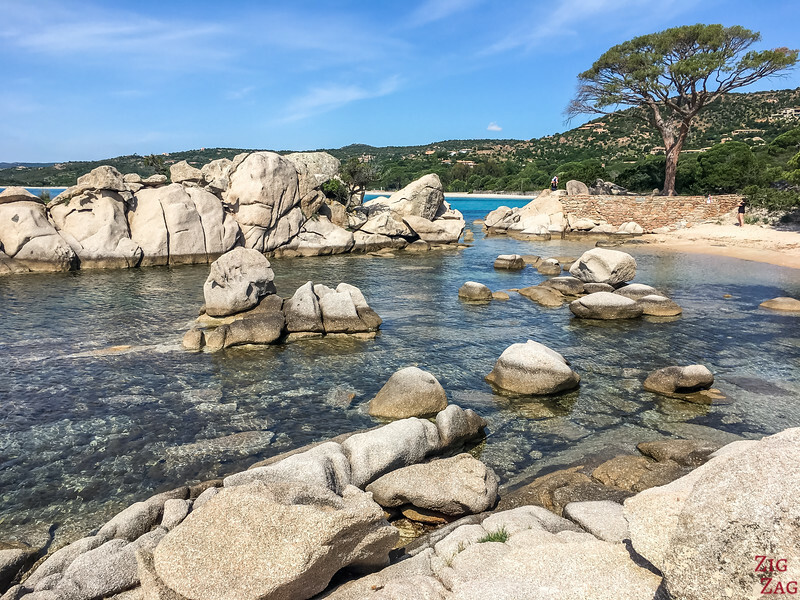 It has giant white and grey boulders, shallow transparent water and a beautiful lone stone pine tree. All along the coast you can see amazing views with white sand beach, turquoise water, mountains, red rocks and dense vegetation... The colors are just gorgeous. And one of my favorite views of the whole island of Corsica is one the way to Capo Pertusato, the panorama with the white limestone cliffs and Bonifacio perched on top of it. This is a truly incredible site, one of the best in France because of how unique it is. I recommend you plan at least 1 day and a half for the area. Check out my Bonifacio article. 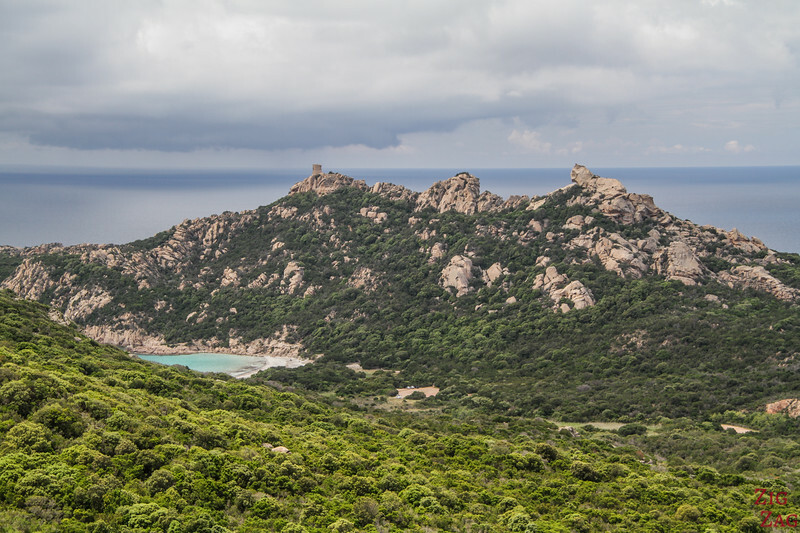 Another famous viewpoint in South Corsica is on the way West towards Sartène. It is called Roccapina. 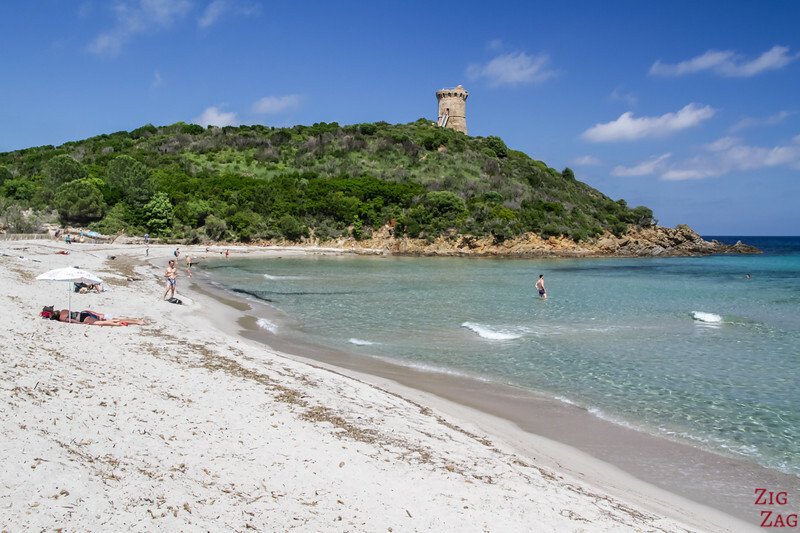 It offers an open views of the coast, with a beautiful beach, a genoese tower and a rock formation that looks like a lion guarding the island. Can you spot the lion in the picture below? 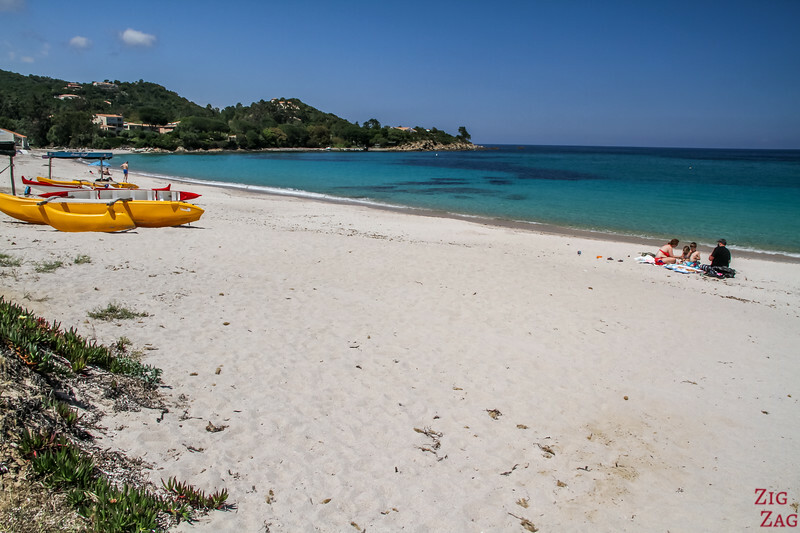 Of course, most people head to Southern Corsica for their holidays because of the many beautiful beaches. 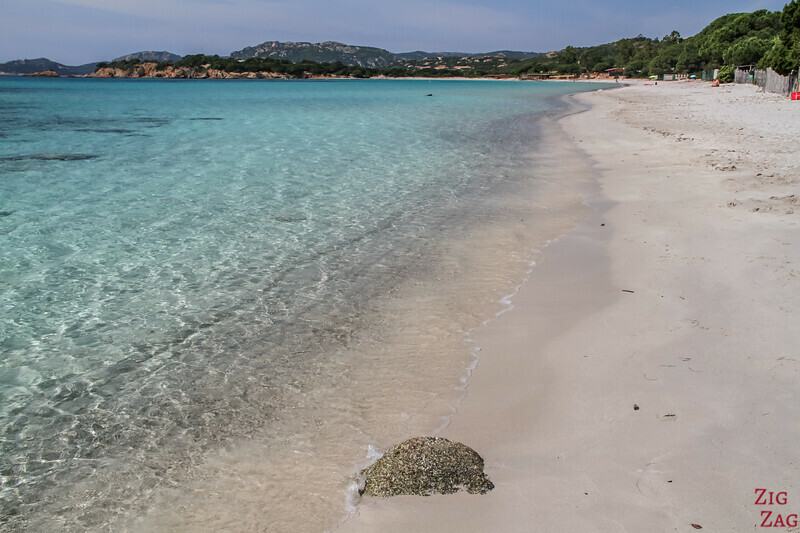 Even only 30min drive from Porto-Vecchio you can find 10 magnificent beaches, among the best beaches in Corsica. 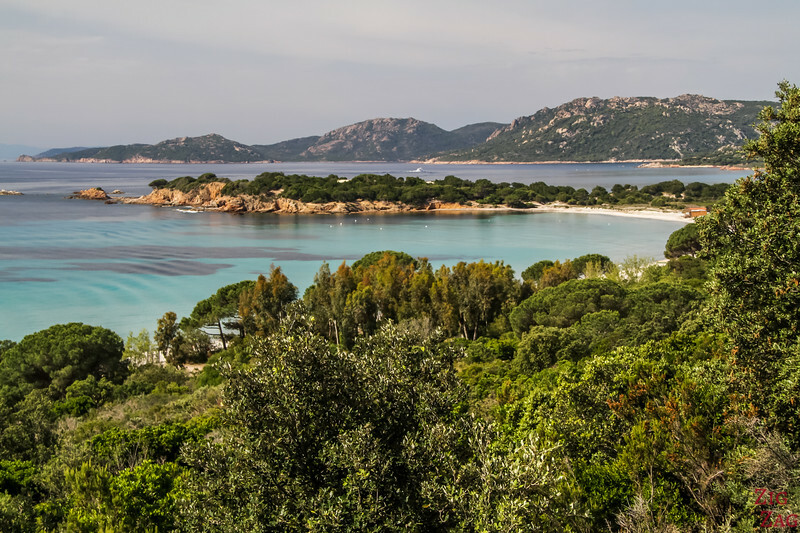 If it is starting to get too hot by the beaches, you can decide to explore the inland region of Southern Corsica. There are magnificent drives to complete in beautiful gorges. For example the Inzecca Gorge, is a wonderful drive often overlooked by tourist. It is a bit further up North but the views are splendid. One of the most visited gorges is the Solenzara Valley. It has several sections where it is easy to reach the water and enjoy a swim to cool down. 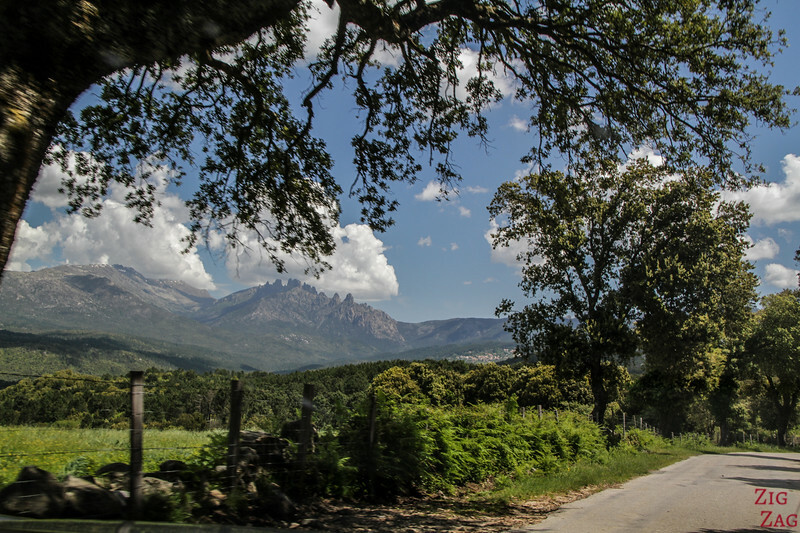 Plus you can continue the drive up to the Bavella pass with views of the famous Bavella Needles. The water is has an emerald color, a great contrast with the rocks in the river bed which are sparkling white. 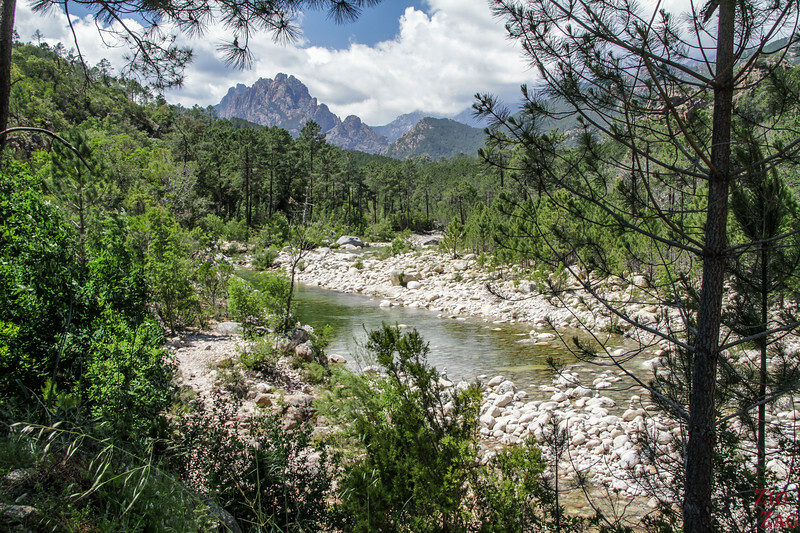 And the Solenzara river is surrounded by dense vegetation and mountains in all directions. Those 2 were easily accessible by car. But if you want something a little more adventurous, you can check out the canyoning options in the region. 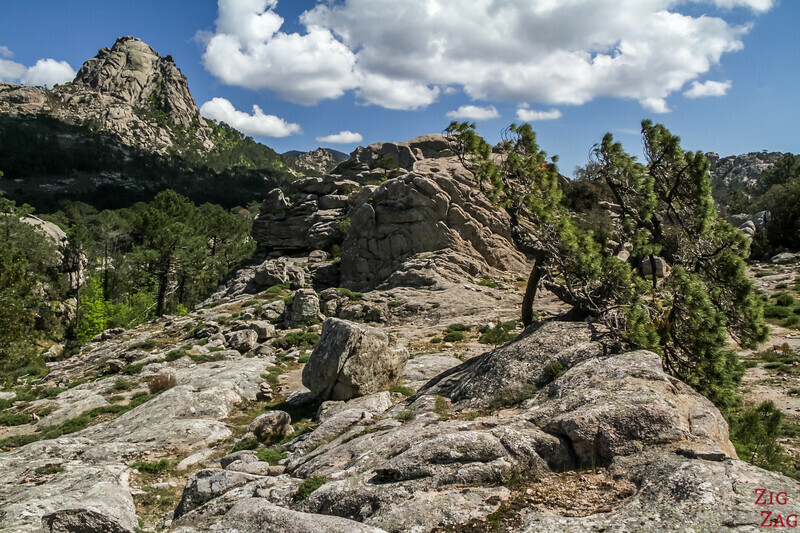 The other advantage of traveling in Corsica is that you are never far away from the mountains. South Corsica is no exception. And the roads are actually less difficult that in other regions (see my driving guide). 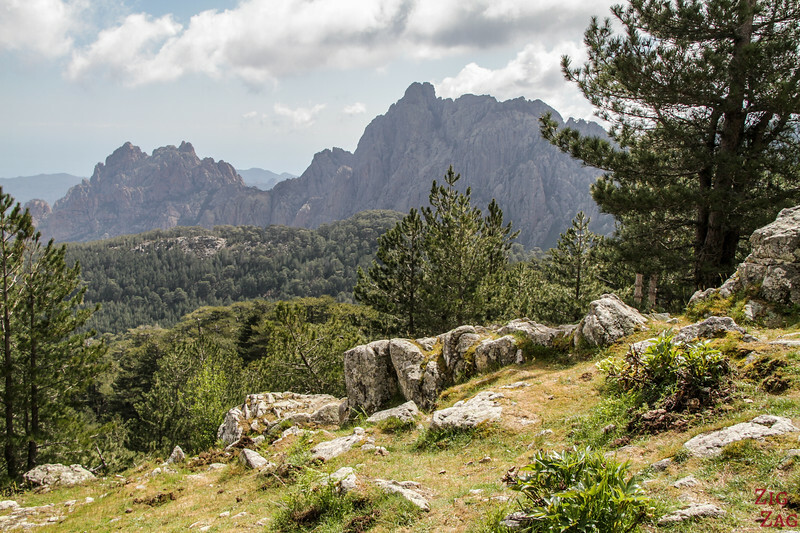 One of the most famous mountain peeks on the island is the Bavella Needles. They are only 1h30 drive away from Porto-Vecchio. You can stop at the mountain pass and go hiking a little or a lot to see them from different venture points. However note that it is a very popular spot and the carpark is already full off-season, so I can't imagine what it looks like in the middle of Summer. Come early! 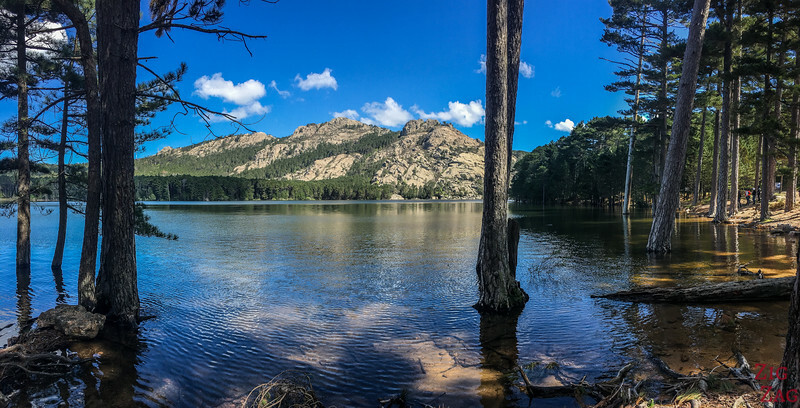 A bit lower and closer to Porto-Vecchio you can find the Ospedale forest and its lake. This is a beautiful area with lots of shade. Really enjoyable place to relax when it is really hot. I know I write a lot about Nature. That's because this is what I prefer doing when traveling: seeing all the marvels created by the Universe. 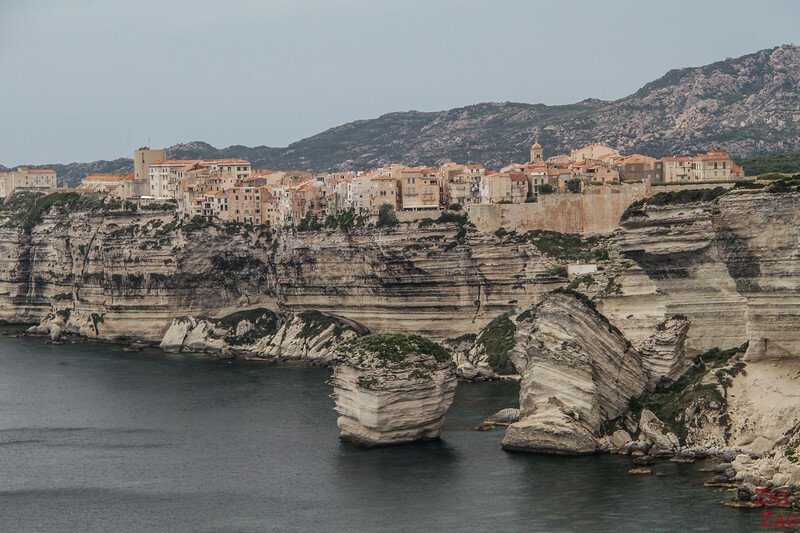 I am not much of a town person, but I must admit that Bonifacio is clearly a MUST-SEE of any trip to Corsica. I think I like it so much because it combines Nature with history and architecture. Check out my article to plan your visit. 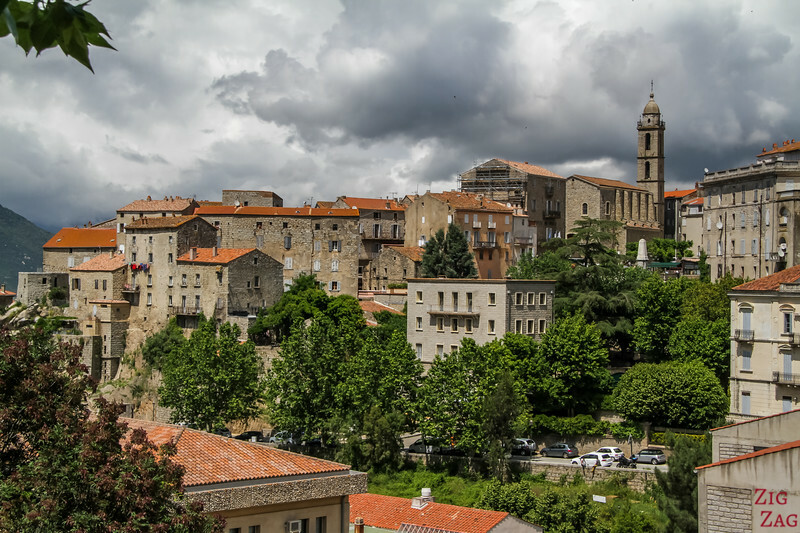 Another town to consider visiting in South Corsica is Sartène. It is midway between Porto-Vecchio and Ajaccio. It is not as scenic as Bonifacio but it is really typical of Corsica (Whereas Bonifacio feels more Italian). 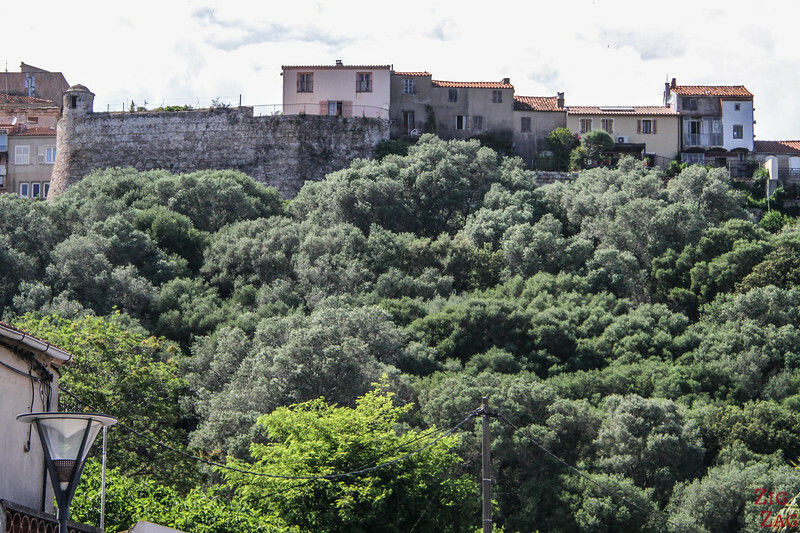 Sartène is actually considered the most Corsican of the towns in Corsica. It has strong tall buildings and a great vibe. I recommend spending at least a few hours to explore it. Are you like me ? Do you love crazy rock formations ? Well Corsica is paradise for that. And the Southern region has some of the best places to discover. 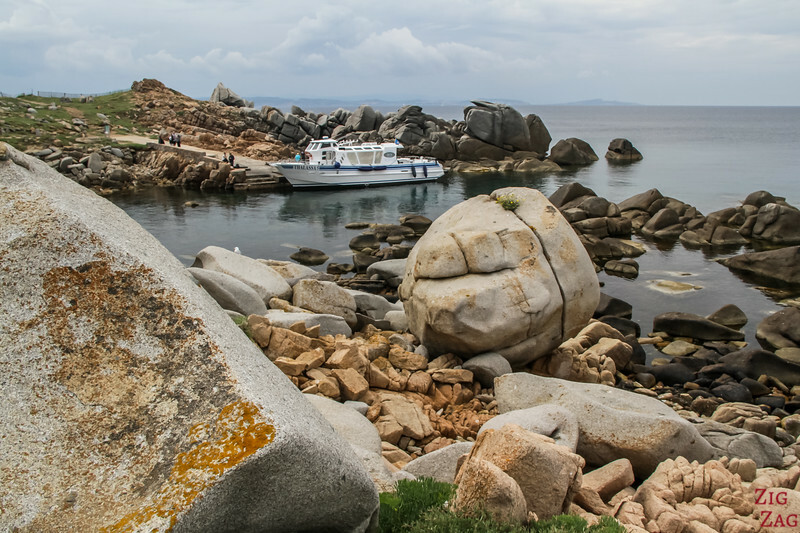 The most famous boulders are located on the Lavezzi islands (see more photos). The whole island is covered with them! Pink, grey, black... they have different sizes and shapes but they are everywhere. 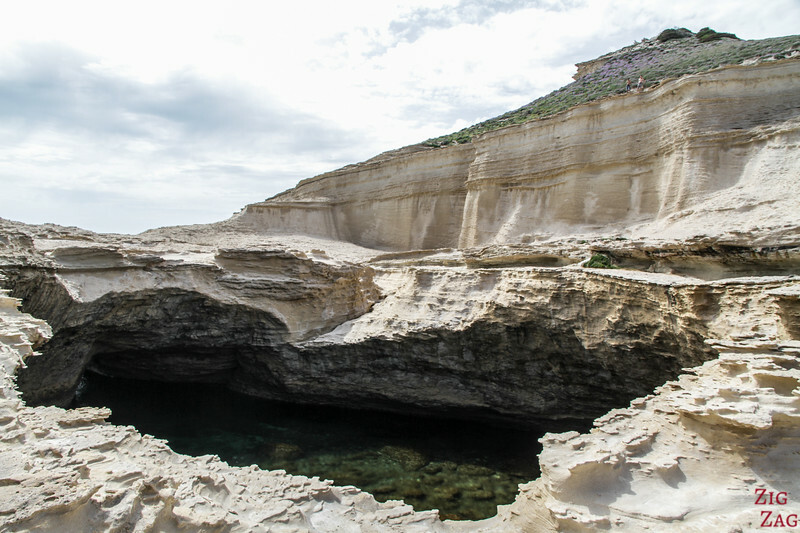 You can reach the island by boat from Bonifacio and spend some time exploring the land. It is quite fascinating. The other area of geological interest is of course Les bouches de Bonifacio with the Limestone white cliffs. 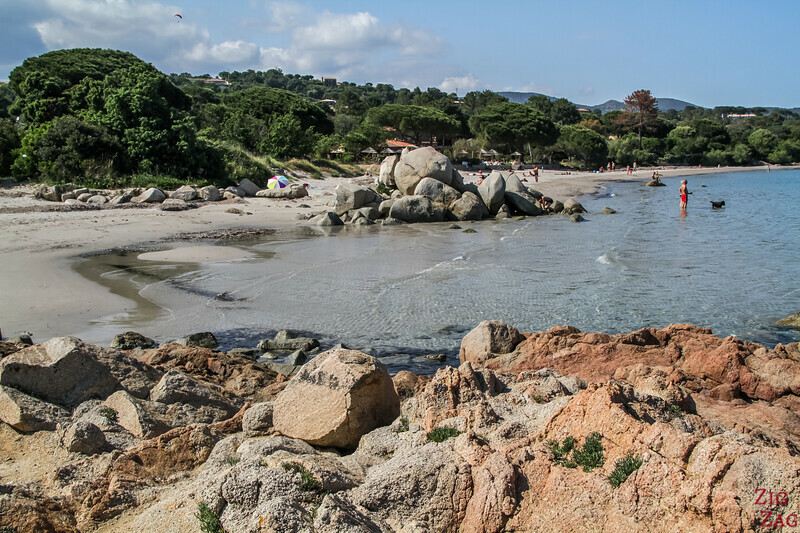 And one of the best place to see them is Saint Antoine beach at Capo Pertusato. It is not an easy walk to reach it (but it is not a long one either). At this location at the tip of Corsica, the elements have eroded the limestone and you get seastack and giant holes. It almost look like another planet! 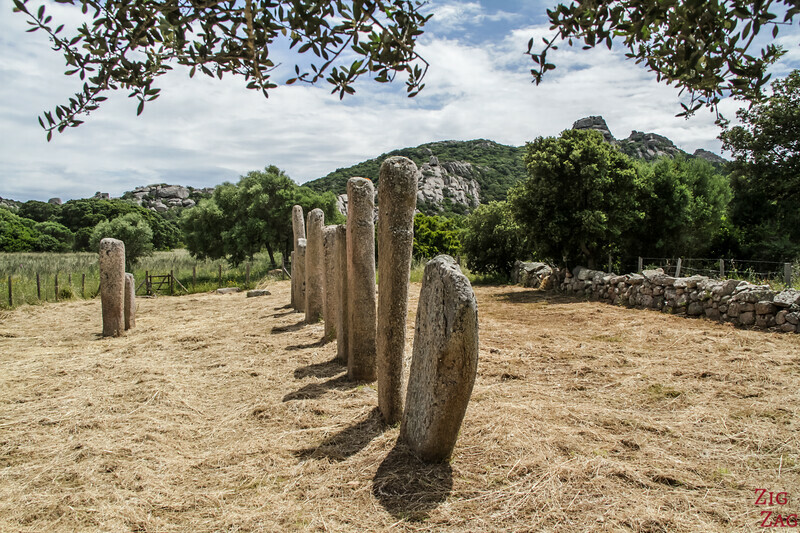 Evidence indicates that groups of humans settled in South Corsica around 8500BC. They were exploiting the natural resources of their environment (fishing, picking, collecting). Around 6000BC another group of humans arrive in Corsica. This time they were farmers and breeders and they started getting organized in villages. 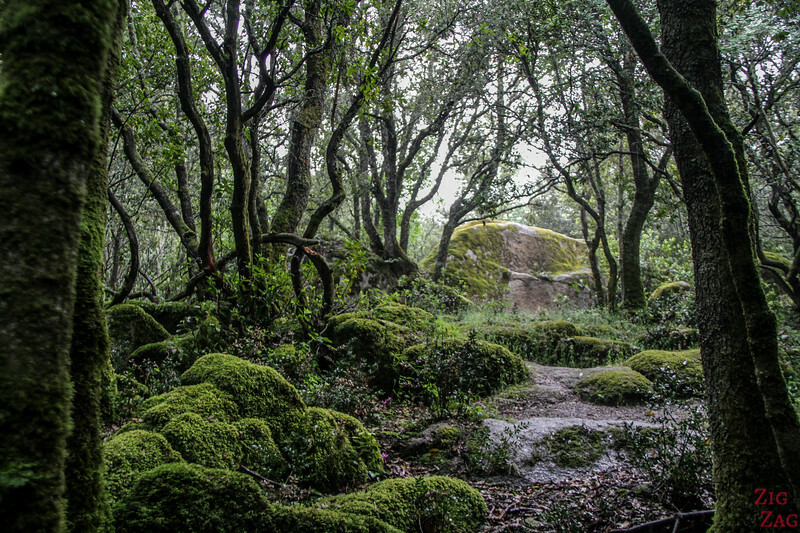 The 2h walking loop is a real pleasure with a forest that looks magical, giant rocks that were used as shelters and ensembles built a long time ago. 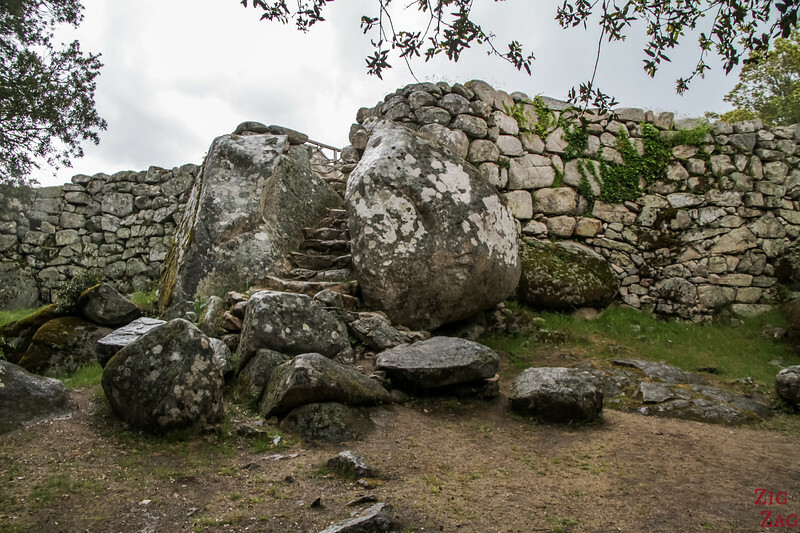 But there are many more places you can explore if you love prehistoric sites. For example, closer to the sea, you can also find evidence of old settlements with menhirs and dolmens. 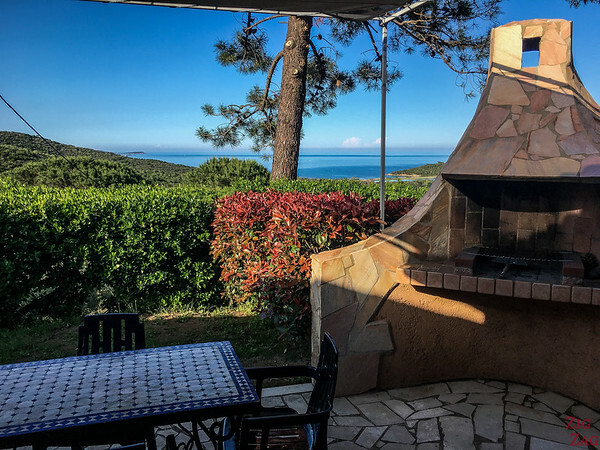 There are really a lot of different things to do in Porto-Vecchio and in South Corsica, isn't it? 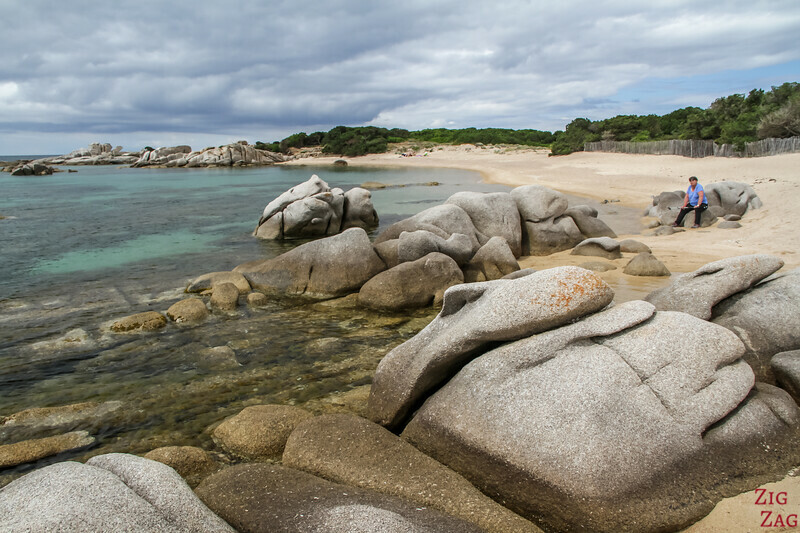 21 Best beaches in Corsica (France) – with inspiring photos! This is the most incredibly informative website! 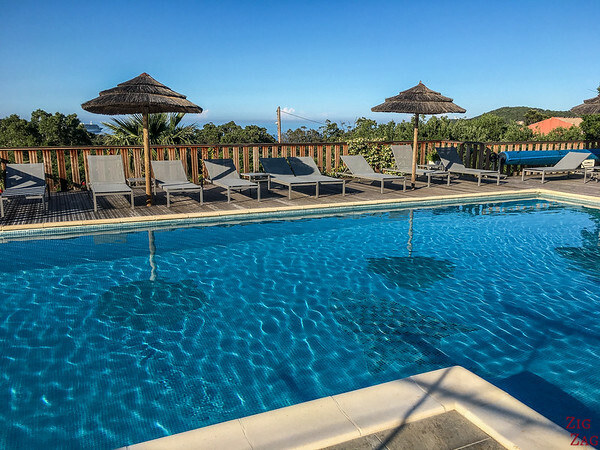 Thank you so much for sharing your recommendations for Corsica! 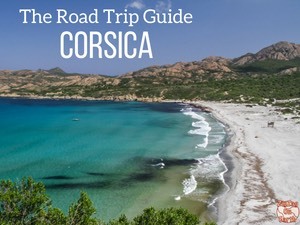 I love your photos and I am very excited to start planning a trip to Corsica! I have spent many hours this weekend reading from your website. Thanks for your comment. I am glad you are finding it useful.